Lancer Tactical MOLLE 3-Day Assault Pack is a medium sized backpack that is large enough to carry a few days worth of supplies and equipment on your missions. 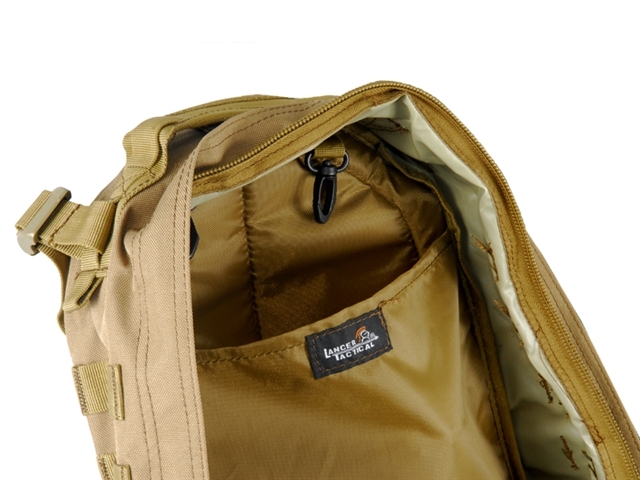 Measuring at 16" x 20" x 7" it features a plethora of compartments and pockets to store and organize anything you might want to bring. 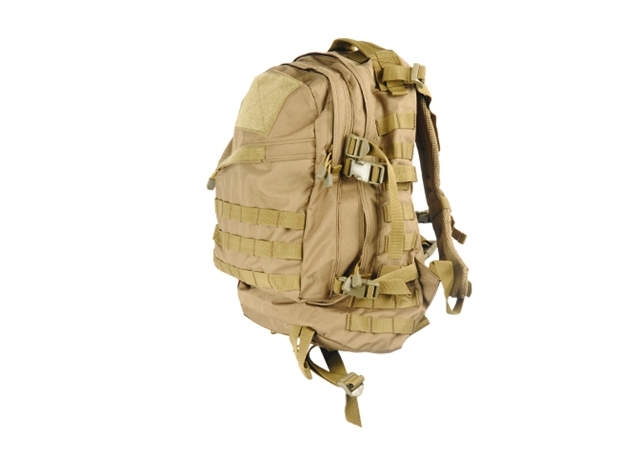 Made out of tough 600 Denier nylon, the backpack features one large main compartment, one medium compartment, as well as a sleeve pocket for 2.5 Liter sized hydration bladders. 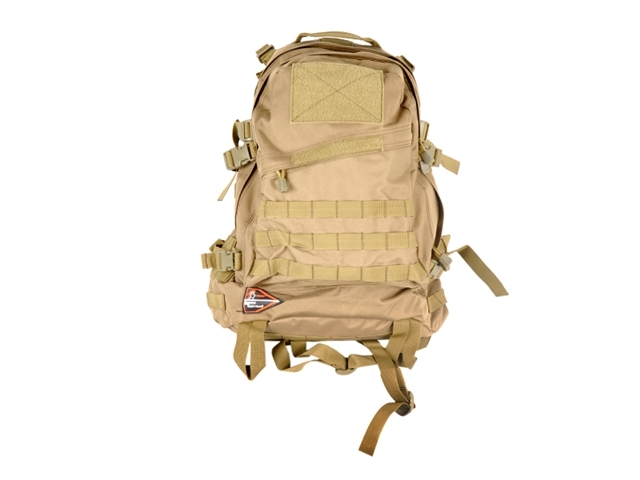 Zippered side compartments gives you quick and easy access to smaller items while additional MOLLE panels are provided on the front and side faces to attach any other accessories you might want to bring along with you. 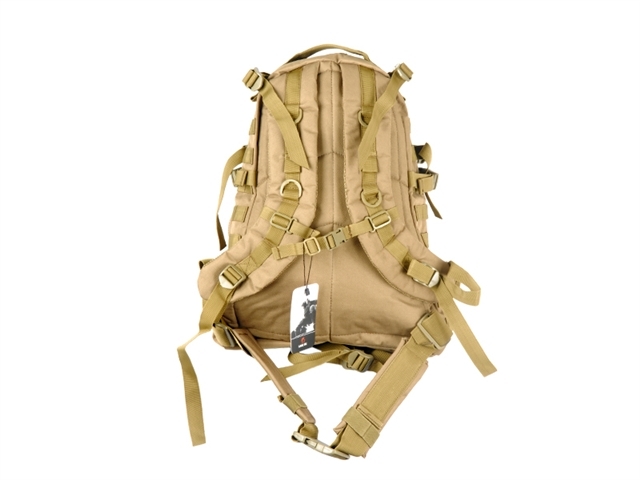 The shoulder straps are padded and can be secured along with an additional sternum strap while additional support can be used by using the waist strap built-in to the backpack itself. Measures at 16" x 20" x 7"